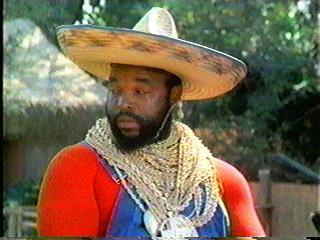 Mr. T in a sombrero is a hard image to beat. How did we get to May so quickly? Time must be flying while we are having a good time in Big Bear Lake! This month the good times change even more as we see our friends in the Big Bear area opening their businesses for the warmer weather. Big Bear Mountain Resorts will be opening their Sky Chair and golf course this month. Swim Beach will also be opening at the end of the month, which will open the lake back up for more than just fishing! There are still openings for this weekend for the family friendly Cinco de Mayo events at the Bear Cave Entertainment Center, to go for some rides with the Big Bear Cycling Association, or explore nature at the Big Bear Discovery Center. And what are you planning on doing for Mother’s Day? The weather is going to cool down a little next week, but we’ll be so busy we won’t notice. The fishing at Big Bear is getting better with every passing week, and just in time for one of the biggest fishing tournaments of the year! The May Trout Classic/Jim Hall Memorial Tournament will be here the weekend of May 18 and 19, luring anglers from all over the area to try their hand at catching some award winning trout. There are also some tagged trout swimming around that can earn you a special prize. B’s Backyard BBQ will be the starting point for the second of six Aaron’s Big Bear Bass Tournaments. You can give them a call to find out more about prizes and registration for this popular event. May offers two events that will get your heart racing! The very busy weekend of May 18 and 19 will host the SoCal Horror-Fi Festival in its new springtime home. There will be over a dozen films to see and the opportunity to connect with other horror and science fiction fans as some of them stay with us at Big Bear Frontier. For something else heart-pounding, Open Air Big Bear will be having their first 5K Big Bear Lake Memorial Fun Run on May 26, helping to benefit the Wounded Warrior Project. As an added bonus, that evening there will be a screening of the film “To Them That’s Gone,” a documentary about a group of runners that crossed the United States for a cause. The Big Bear Lake Antique Car Club will be having a pinewood derby and an antique car show in the Snow Play parking lot over Memorial Day weekend, offering a little something for the whole family. Also that weekend, Brent Payne will be performing in the first of the season’s Chuckwagon Concerts. Those wily Old Miners loved Brent so much, they created this series so they could have him back again! After the concert, you can stick around for a silent auction and a chuckwagon-style spread of food. There is so much to do in May 2013 here in Big Bear it might be difficult to decide on an itinerary! Making your reservations now will ensure you get the room you want for the time you want. May is just a sneak peek at how many events will be going on over the next few months. We look forward to seeing you during the summer months! Gallery | This entry was posted in What to see and do and tagged antique car show, Big Bear CA, Big Bear Discovery Center, big bear lake, big bear mountain, Brent Payne, cabins, car show, chuckwagon, Cinco de Mayo, concerts, cycling, Dining, entertainment, events, family, film festival, fishing, Fishing Tournament, hiking, holidays in Big Bear, live music, May, May 2013, Mother's Day, Old Miners, Sky Chair Ride, spring, summer, vacation, weather, What to Do. Bookmark the permalink.